The axed Doctor Who spin-off series Class is set to return as a new audio series from Big Finish. Class: The Audio Adventures will star the show’s original cast of Coal Hill Academy students – Greg Austin (Charlie), Fady Elsayed (Ram), Sophie Hopkins (April), Vivian Oparah (Tanya) and Jordan Renzo (Matteusz) – with Katherine Kelly also reprising her role as teacher Miss Quill. The show’s latest set of stories, confirmed in the latest edition of Doctor Who Magazine, will see the students come up against the iconic Daleks, as well as encounter Seventh Doctor companion Ace (Sophie Aldred). “We’ve had a great deal of fun reuniting the original cast for the audio series, telling brand-new stories set within the TV run whilst tackling a host of alien menaces. Class originally debuted on the online channel BBC Three in 2016 before airing on BBC One in early 2017, with the show receiving a mixed critical reception and disappointing viewing figures. Following an announcement from creator Patrick Ness that he would not be returning to write any more episodes of the show, its cancellation was confirmed later in the year by BBC Three controller Damien Kavanagh, who stated that whilst there was ‘nothing wrong’ with Class it ‘just didn’t really land’ on the channel. Despite this, however, Class has enjoyed a resurgence in recent months. 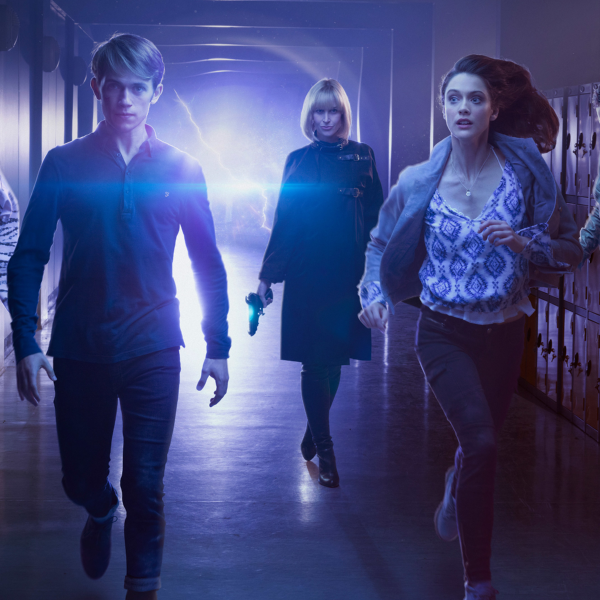 As well as the announcement of the new audio series, composer Blair Mowat has revealed that a soundtrack for the original television series is on its way, whilst the show will also be made available on Netflix for the first time from 3rd June 2018. Class: The Audio Adventures will be released in August 2018 and will be available to purchase from bigfinish.com.